The Nintendo 3DS, which first hit the market in the U.S. in late March for $249.99, will see its price drastically reduce to $169.99 starting August 12. The announcement of the price cut, just four months after the handheld went on sale, came as the company posted a loss of 25.5 billion yen, or $324 million, for its first fiscal quarter. Poor sales of both the new 3DS, which features a screen that allows for glasses-free 3D, and the motion-sending Wii consoles have both been attributed to Nintendo's struggles. 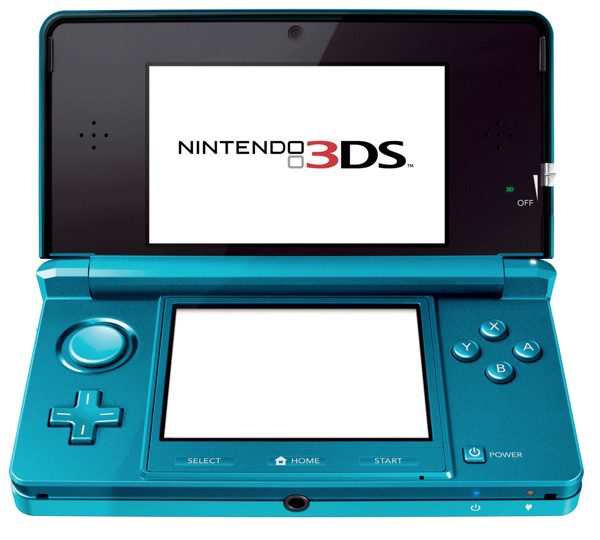 The company revealed on Thursday that it has sold 830,000 3DS handhelds in the U.S. since it launched. The major changes from Nintendo come as Apple continues to find success with its iOS-powered devices and inexpensive games available on the App Store. Games consistently dominate the list of top paid applications available for both the iPhone and iPad. Just this week, the chief executive of major game publisher Electronic Arts revealed that the iPad has become the company's fastest growing platform. He also revealed that dedicated gaming consoles, like the Nintendo 3DS, have slipped from 80 percent to 40 percent of the gaming industry, while multipurpose devices like the iPhone, iPad and iPod touch have become major players in the market. Nintendo and Apple will also face new competition this fall, when Sony releases its own next-generation portable gaming system, the PlayStation Vita. Sony surprised the industry in June when it revealed the Vita will be priced at $250 in the U.S., positioning it against both the 3DS and the iPod touch. Like the iPhone and Nintendo 3DS, the PlayStation Vita will also feature a touchscreen. It also features traditional buttons for tactile feedback, and a unique touch-sensitive back panel that game developers will be able to utilize. Nintendo's newly announced price cut makes it the least expensive option when compared to the iPod touch and PlayStation Vita. For early adopters who paid the full $249.99 price, Nintendo will reward their investment with 10 free downloadable NES Virtual Console games, including "Legend of Zelda" and "Super Mario Bros.," and 10 exclusive Game Boy Advance titles, including "Metroid Fusion" and "Mario Kart: Super Circuit." Apple began promoting the iPod touch as a game-playing device in 2009, when it declared the device the "funnest iPod ever." Since then, advertisements for the device have focused greatly on the wide selection of game titles available on the App Store, and Apple has also offered social networking support with the release of Game Center last year as part of iOS 4.